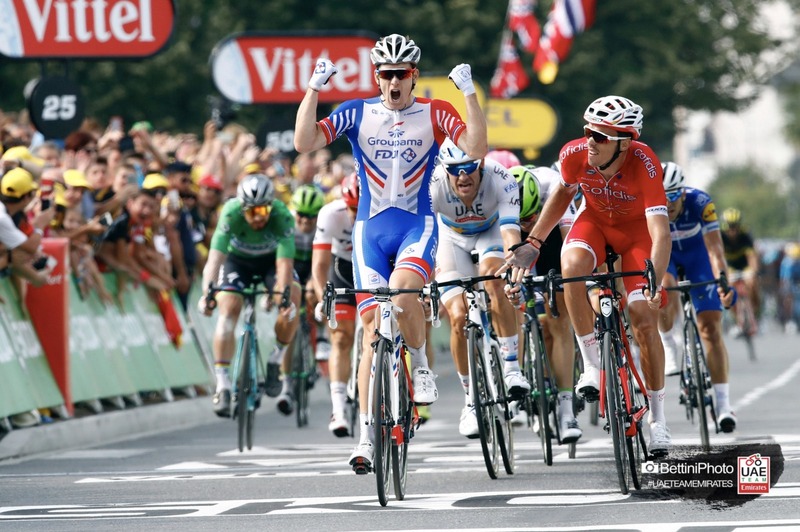 UAE Team Emirates’ Alexander Kristoff secured a top three finish on Stage 18 of the Tour de France as the European Champion capped off a strong team performance. After being led in impressively by his team mates, Kristoff, who sits second in the race for the green jersey, battled hard in the closing kilometres to finish third. It was an notable team effort from the Emirati formation, with the team’s riders controlling the pace of the peloton for a large portion of the race. The Norwegian now heads into the final three stages, vying to secure a podium place in the sprint classification. The final day in the mountains is upon the peloton – and what a day it promises to be! There are no less than six categorised climbs on the 200km route from Lourdes to Laruns and the stage could be one of the highlights of what has been an exhilarating Tour de France. Should a GC contender attack and succeed in gaining seconds on his rivals, it will make the penultimate day of racing – an Individual Time Trial on Saturday afternoon – even more intriguing.